We need your votes in the Aviva Community Fund! You need to register to vote but it’s quick and easy and you can vote here. York Cares is an employee-volunteering charity committed to making York a better place. We match the skills and expertise of employers and their employees to community projects where they can have most impact. 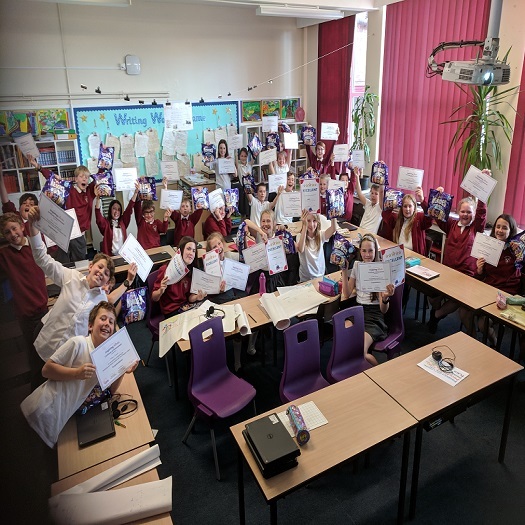 Over the last 12 years, our flagship Right to Read programme, aimed at increasing literacy levels amongst children whilst also providing them with positive role models, has supported over 3000 pupils in primary schools in York. Following the huge success of this programme, we would now like to use the model to develop Number Clubs to help boost young people’s confidence and performance in numeracy and support their financial literacy from an early age. The project will equate to approximately 300 extra hours of maths support for disadvantaged pupils over an academic year which, as shown through our Right to Read programme, can make the world of difference. To be in with a chance of funding we need to get as many votes for the project as we can. Alex Müller is studying for an MSc in Development, Disorders and Clinical Practice and has been working on developing Number Clubs as part of our Inspiring Minds programme.